Resident membership in the Academy represents an important step in your career. It signifies your decision to identify and associate with the most knowledgeable physicians in an organization dedicated to advancing and representing the specialty of family medicine. The Ohio Academy of Family Physicians is here to support you through residency, as a new physician, and throughout your family medicine career. Through conferences, scholarships, and other opportunities, the OAFP helps family medicine residents access the resources they need to make their future practices great. “My involvement with the Academy has been one of the most important experiences during residency. I have had the opportunity to build a network of physicians across the state doing amazing things, learned how to best advocate for my patients in Ohio, and been reinvigorated in my mission to become a family physician, ” said OAFP resident member Roma Amin, MD, Grant Family Medicine Residency Program. 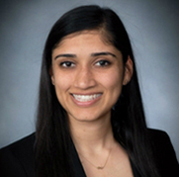 “The OAFP is an invaluable resource for all residents to improve the lives of our patients and colleagues while preparing for life after residency without a significant time commitment,” Dr. Amin continued. As a member of the OAFP, residents have the opportunity to participate in OAFP activities, network with the family physician community, and receive OAFP publications. In addition, leadership opportunities exist to get involved in the OAFP and the American Academy of Family Physicians through service on the board of directors, commissions, committees, workgroups, taskforces, and resource teams. By being an Academy leader, you will have a voice and vote on key issues affecting the family medicine specialty. Ready to join? Apply for membership on the AAFP website today! Why are you an Academy member?